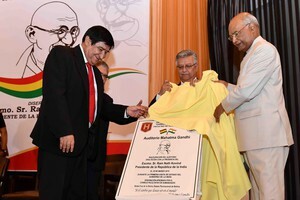 President also participated in the India - Bolivia Business Forum today. President is in Bolivia on the 2nd leg of his three nation tour. He is on a 3-nation visit to Croatia, Bolivia and Chile from March 25th to April 4th. The European Parliament has voted for an EU-wide ban on single-use plastic products such as the straws, cutlery and cotton buds that are clogging the world’s oceans. The law on single-use plastic ban sets a target to gather 90 per cent of plastic for recycling by 2029 and mandates the production of plastic bottles with 25 per cent recycled material by 2025 and 30 per cent by 2030. The law also insists on polluters pay principle by insisting polluters to pay the costs of a clean-up. President Ram Nath Kovind reached Bolivia today on the 2nd leg of his 3 nations tour. President of Bolivia Evo Morales welcomed Mr. Kovind at Viru Viru International Airport, Santa Cruz. During his 3 day visit to Bolivia, President will hold delegation level talks with his counterpart. He will participate in India-Bolivia business forum meeting and also interact with the students at the University in Santa Cruz. Note : Kovind is the 1st President of India to visit Bolivia. The UN Security Council has unanimously passed the 1st-ever resolution ordering members to enforce laws against terror financing. UNSC's resolution demands all states "ensure that their domestic laws and regulations establish serious criminal offenses" to collect funds or financial resources to terrorist groups or individual criminals. It also calls on members to create financial intelligence units. Nations that fail to carry out the resolution would face U.N. sanctions. Brunei is going to impose Death by stoning as a punishment for gay relationships and adultery under the new sharia law which will come into effect next week. Note : The sharia law would apply only to Muslims, who make up about two-thirds of Brunei's population. 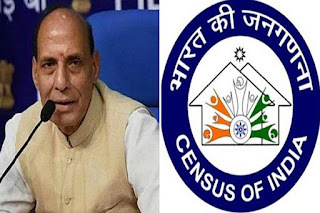 The Home Ministry today announced that the next Census of India will be carried out in 2021 with March 1 as the reference date. For Jammu and Kashmir and snowbound non-synchronous areas of Himachal Pradesh and Uttarakhand, the reference date will be October 1, 2020. Note : India's last census was carried out in 2011. RailTel Corporation of India Limited under the Ministry of Railways has completed the work of turning 1,000 railway stations across India into free WiFi zones. The Reay Raod station is the 1,000th station to get a free WiFi connection. RailTel had started the project in January 2016 from Mumbai Central station in Maharashtra. It is a special initiative for persons with disabilities with an aim that 'No Voter to be Left behind'. Under this initiative comprehensive mapping of PwDs will be done in consultation with Booth Level Officers, Divyang Sarothis and a woman mascot-Chandraprabha, to facilitate the PwD voters for barrier-free and inclusive accessible elections. In a major fire-power boost for the country, 4 indigenous 'Dhanush' Howitzer guns were inducted to the Indian Army at a ceremony held the Ordnance factory in Jabalpur. The Dhanush gun system is based on designs of the Bofors howitzer which was inducted in the Army in 1980s and would be the third type of artillery gun to be inducted into the force after the K-9 Vajra and the M-777 ultra-light howitzers, as per inputs. The 155mm x 45mm calibre artillery gun is capable of firing projectiles at a relatively higher angle with a steep angle of descent. Hyderabad based pharma player Laurus Labs Ltd has entered into a strategic partnership with the Global Fund, an organization working towards ending AIDS, tuberculosis and malaria as epidemics, for a period of three-and-a-half years. Through this agreement, Laurus Labs will have volume commitments from the Global Fund for the treatment of HIV/AIDS. Prime Minister of Malaysia Mahathir bin Mohammed, inaugurated the 15th edition of Maritime & Aerospace Exhibition, Langkawi International Maritime & Aerospace Exhibition 2019 (LIMA 2019). LIMA provides a platform where industry stakeholders could engage and expand their networks towards forging new partnerships and business agreements. INS Kadmatt and India’s indigenous supersonic fighter jet Tejas are taking part in the LIMA 2019. This acquisition and merger will make PFC 2nd-largest government-owned financial player in the country based on the current market capital after State Bank of India (SBI) and also PFC will be the third-highest profit-making financial player in India. The objective of the conclave was to shape India’s continued ascendancy in FinTech, build the narrative for future strategy and policy efforts, and to deliberate steps for comprehensive financial inclusion. England football team captain and forward Harry Kane received the MBE award for services to football after leading the English national team to the World Cup semi-final in Russia last year. Chelsea's Argentine striker Gonzalo Higuain has retired from the Argentina national team with immediate effect. The 31-year-old made 75 appearances for Argentina, scoring 31 goals. Indian shuttlers P V Sindhu and Kidambi Srikanth advanced to India Open quarter-finals in their respective categories . RCB captain Virat Kohli became the 1st batsman to score 5,000 runs for one team in Indian Premier League (IPL), achieving the feat during his 32-ball 46-run innings against Mumbai Indians. He is the fastest batsman to reach the 5,000-run mark (157 innings) and second batsman after Chennai Super Kings batsman Suresh Raina to achieve the feat. The Committee of Administrators, COA running Indian cricket has said that the newly appointed ombudsman by the BCCI, Justice (Retd.) DK Jain will also be its ad-hoc Ethics Officer. 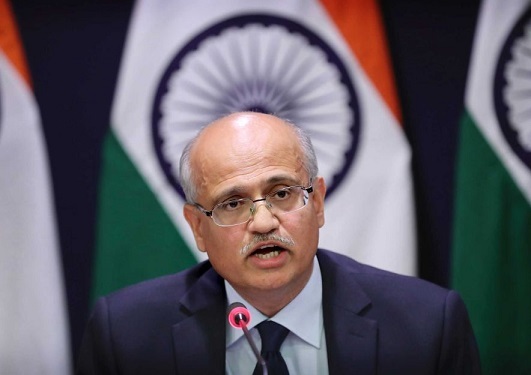 India's Foreign Secretary Vijay Gokhale held bilateral talks with his Nepalese counterpart Shanker Das Bairagi in Kathmandu today. They reviewed all aspects of bilateral partnership between India and Nepal and exchanged views on issues of mutual interest. Both sides also agreed to strengthen the traditionally close, friendly and multi-faceted partnership between the two countries. Indian Foreign Secretary Gokhale is on a 2 day visit to Nepal. During this visit, he called on Prime Minister of Nepal K P Sharma Oli and Minister for Foreign Affairs Pradeep Kumar Gyawali. President Ram Nath Kovind today had a bilateral meeting with the President of Republic of Latvia Raimonds Vcjonis at Zagreb before concluding his state visit to Croatia. During Mr Kovind's visit, India and Croatia signed 4 MOUs for cooperation in the field of tourism, Sports and also Establishment of the Hindi and Sanskrit Chair at University of Zagreb. The President also participated in the India-Croatia Business Forum and addressed the students at the University of Zagreb. President has since left for Bolivia on the second leg of his three-nation tour. On the second leg of his tour, President will reach Bolivia on March 29th. In Bolivia, the President will hold delegation level talks with his counterpart. He will participate in India-Bolivia business forum and interact with students. 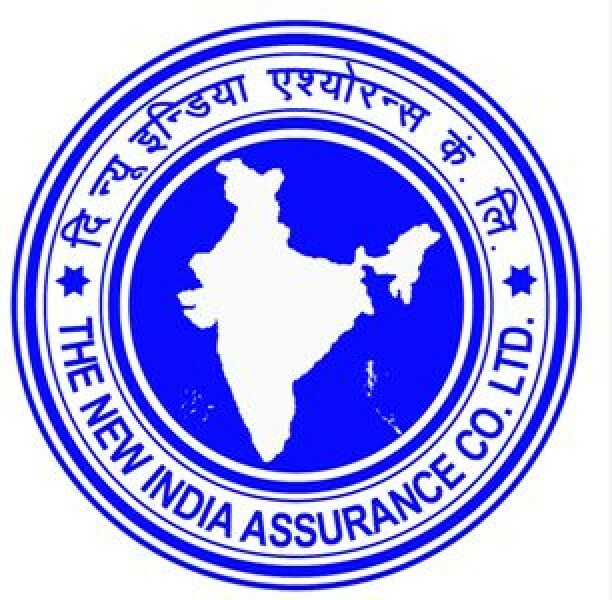 Friends, the New India Assurance Company Ltd (NIACL) has released the Interview Call Letters for it's Administrative Officers (AO) Recruitment 2019. 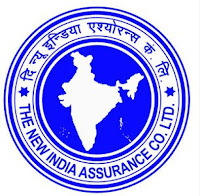 You can download your call letters from the official website of the New India Assurance Company Ltd (www.newindia.co.in) or from below link by entering your Registration No / Roll No and Password / Date of Birth. The Call Letter download link will remain active from today (28th March 2019) to 22nd April 2019.